I am a historian of modern China. But I am particularly interested in the ways that natural resources define and often limit state power in Chinese border regions. 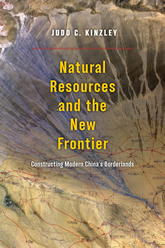 My book, Natural Resources and the New Frontier: Constructing Modern China’s Borderlands, which will be published by the University of Chicago Press in spring 2018, offers a new material-centered perspective on the development of institutions of state power and authority in China’s far western province of Xinjiang. I focus in this book on the efforts of a motley assortment of state and non-state, Chinese and non-Chinese actors to find, exploit, process, and transport various natural resources in 20th century Xinjiang, including gold, petroleum, wool, and rare minerals, among others. In the end, my work offers a unique perspective on the development of Xinjiang’s connections to the modern Chinese state, the roots of ethnic tensions and unrest in the region, and provides a framework for thinking about the integration border regions more generally. Building on my interests in natural resources and the material world along China’s borders, I have begun research on my second project, which focuses on the Trans-Pacific material exchange of American industrial goods and Lend-Lease equipment for Chinese raw materials during the 1940s. My work reveals the power of these weapons, industrial goods, and raw materials that were traveling between the United States and China during the wartime and civil war periods. My early research finds that the movement of these goods shaped a number of institutions and infrastructures central to modern China, and helped create networks of exchange that continue to serve as the economic and institutional foundations of Cold War East Asia. 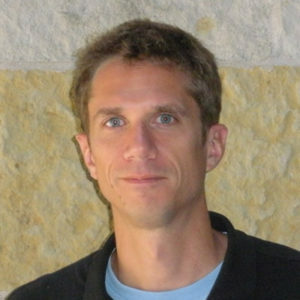 I have published articles on gold mining, roads, and geological surveys and, broadly speaking have research and teaching interests that center around environmental history, borderlands, material centered histories, and political economy. I am currently accepting graduate applications for students of Chinese history with interests in any of these areas.